Only $250 for free shipping (for continental US and based on standard wholesale pricing in effect at time of order). Our displays are effective and take minimal space on the counters and shelf. Private-Label, Contract Manufacturing, Promotional Products Companies – call us to learn about our personal attention and service so your next lip balm project is successful. Marketing materials—sales sheets, product & package images, just call or email. Fast – minimal to no lead times thanks to our USA made state of the art filling lines. Friendly – our job is to make your purchasing decision be simple and worry free. We want to answer all your questions before the sale and support you with anything you may need after (like images for your catalogs or drop ship to your retail account or sell sheets for your sales reps). Capable – with a single minded focus on doing one thing and doing it as well as possible, it is part of our core mission to be “makers of exceptional lip balm”. Competitive – you can always expect a fair and competitive price. 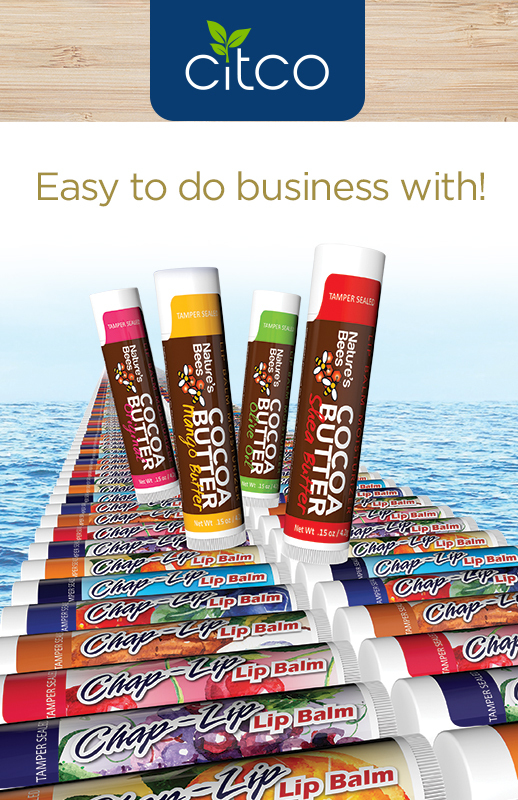 We recognize you need to make a good profit margin on our lip balms so we can develop a long and lasting business relationship. ISO 22716:2007 Cosmetic Certification – an ISO standard which certifies our facility as having good manufacturing practices (GMP) for cosmetic products. Call or e-mail today if you’d like to know more about any of our products or to setup an account. We’d be happy to speak with you any time.